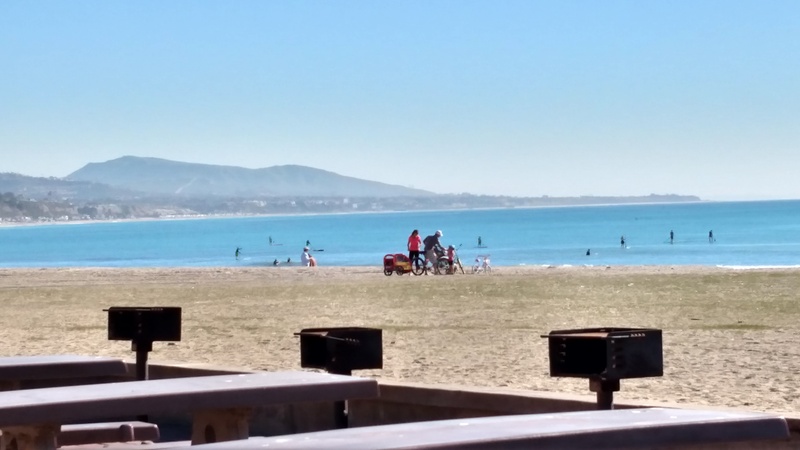 Some of the best weather along the SoCal coast can be in the middle of winter. Steve and I rode portions of rides SC1 (San Clemente), DP1 (Dana Point) and SJC1 (San Juan Capistrano) on a Saturday morning in January. 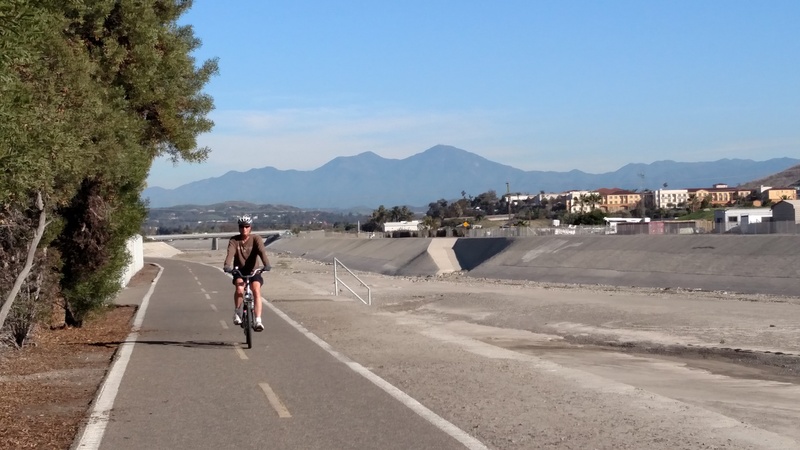 Hundreds of cyclists of all stripes were out on the roads and paths enjoying the perfect 70F sunshine. The route is also connected by two Metrolink stations, San Clemente North Beach and San Juan Capistrano. 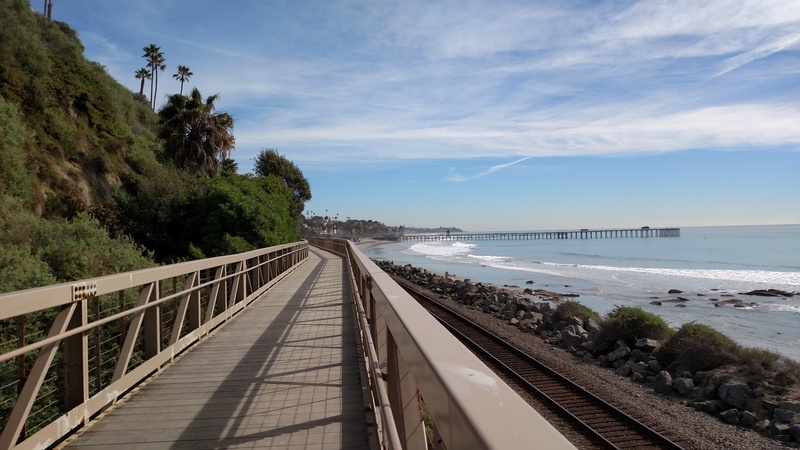 Ride SC1 is along San Clemente’s Beach Path, where the amazing scenery compensates for the questionable design for biking. Looking SE at San Clemente Pier. 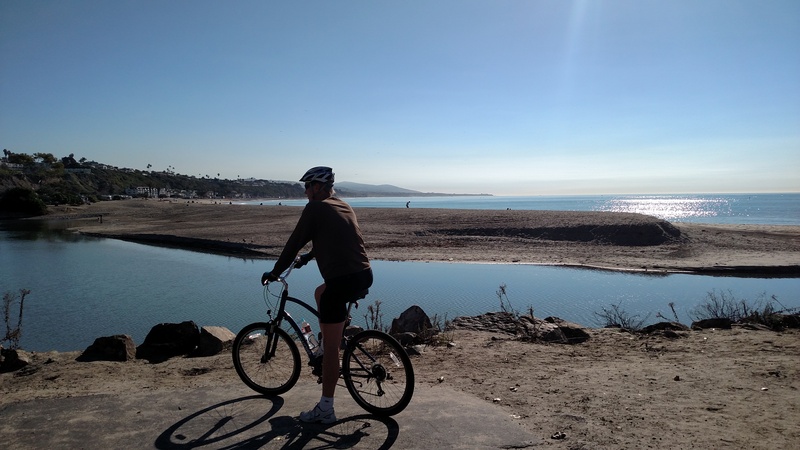 Ride DP1 — After the protected cycleway along Coast Hwy is beautiful Doheny Beach, where you can ride alongside the surf for a couple of miles. The trail along San Juan Creek connects Dana Point with San Juan Capistrano. 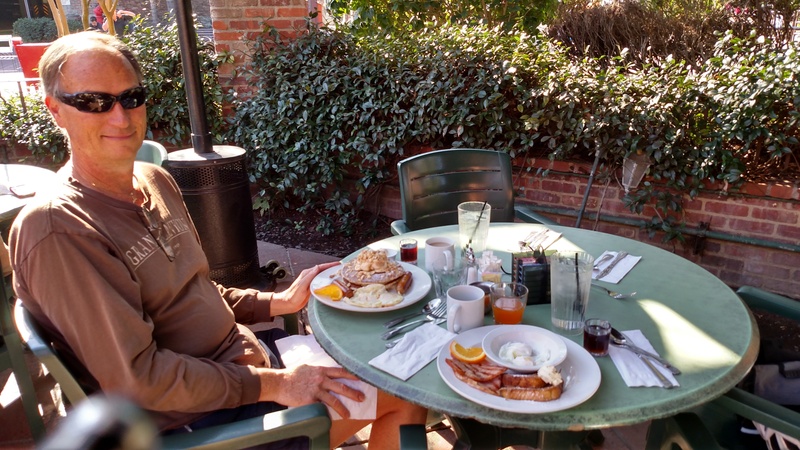 The reward, a scrumptious al fresco breakfast at Sarducci’s next to the train tracks at the historic Capistrano Depot. Update Jan 2019: Sarducci’s has since been replaced by Trevors on the Tracks.